Although it’s dark as a dungeon inside a beehive, apparently enough light shines through the top or bottom entrances to let the queen know, “Hey, looks like the days are getting longer now. Time to start laying. Let’s do this!” The day I found those three eggs was encouraging for me because I knew the queens inside my beehives would be laying more eggs too. They’re over the hump. Of course, that’s ideally how it should play out. My bees have gotten this far without starving or freezing to death. In my book, that’s something to feel good about. Thousands of bees have died since the fall when the weather turned cold. But now with the queen laying more eggs, creating more brood and more bees, the tide is turning. More bees mean more mouths to feed, which further increases the chances of starvation, so I’ll have to keep a close eye on that (and feed them sugar if necessary). But more bees (eventually) also means a greater ability to create heat, which reduces the chances of the bees freezing to death. So that’s a good thing, right? Again, I’m talking about ideal circumstances. Still, I’ll take it. P.S. #2 (JANUARY 15, 2016): I suppose I should add that “more daylight = more eggs” is a general way to think about the queen’s laying pattern throughout the year, at least where I live. 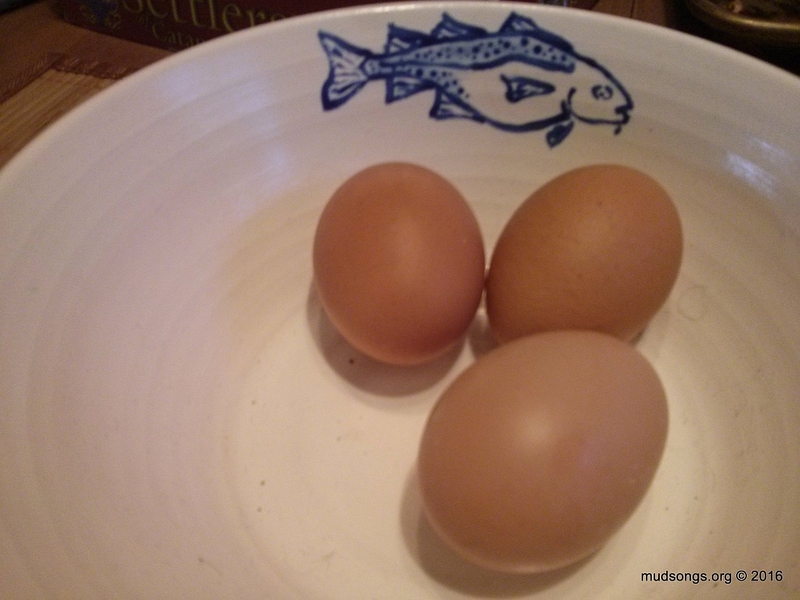 When the days gets longer (after Winter Solstice), generally speaking, the queen begins to lay more eggs. As the days get shorter (after Summer Solstice), she starts to slow down. It’s not a hard fast scientifically proven theory with a documented cause and effect, but for me it’s been a helpful guide to my beekeeping, especially in the winter. This entry was posted in Dry Sugar, Feeding, Month of January, Open Brood / Eggs, Queens, Year 2016 and tagged Stuff That's Good To Know. Bookmark the permalink. As new beekeepers we go out to our hive every day or two and do a check to make sure nothing is amiss but I have to say your regular updates on your own hives or as you see the bee world sure helps put our minds at ease. We didn’t add any sugar in the early fall but the next warm day we are going to do an inspection. Where would be the cheapest place to get a stethoscope so I can hear where my bees have moved in the hive? I’ve read a theory that the queen doesn’t keep an eye on the length of days, but rather the workers observe the increasing day lengths and start feeding her more to encourage her to begin laying again. I haven’t run this theory past a queen myself though. I’ve read that too, though the effect is the same. It’s interesting how it’s natural to think “the queen” is in charge of everything, but most of her behaviours are triggered by the reactions of the workers to various colony and environmental conditions. Love the comparison between bees and chickens. I’ve heard people say, though, that whether the queen starts laying more after the winter solstice also depends greatly on her genetics. For example, Italians are sensitive to day length and begin laying more after the solstice. However, Russians and Carnies are respond to nectar and not light. I’ve certainly noticed this in my own bees (which are mostly Russian/Carniolan mutts). If I peek in the hives on a warm day in mid-February, there won’t be a single egg. However, as soon as nectar begins to come in, my bee population explodes. It’s an amazing thing, really. I can’t argue with genetics. I’ve seen it come into play many times. The first time I saw it was one October when I did a quick inspection on a warm day and found no brood, no eggs, nothing. I thought the colony was queenless, but the queen had already shut down for winter and the colony did fine.